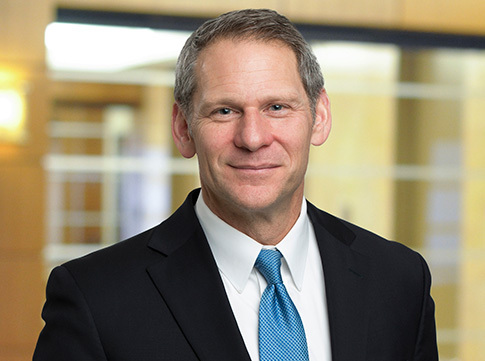 Steve Schleicher, partner in Maslon's Litigation Group and former federal prosecutor, is featured on KSTP-TV 5 Eyewitness News to provide expert commentary throughout the trial of former Minneapolis Police Officer Mohamed Noor, who is charged with the shooting death of Justine Ruszczyk Damond. The trial began on Monday, April 1, 2019. April 18: 5 Eyewitness News—"Noor's Former Partner Takes Stand in Murder Trial." April 17: 5 Eyewitness News—"Bicyclist Who Shot Cellphone Video and Special Investigator Testify at Noor Trial." April 15: 5 Eyewitness News—"Minneapolis Police Chief Takes Stand at Noor Trial." April 9: 5 Eyewitness News—"Fiancé of Justine Ruszczyk Damond First Witness in Murder Trial of Mohamed Noor." April 9: 5 Eyewitness News—"Former Federal Prosecutor Weighs in on Noor Trial." April 9: 5 Eyewitness News—"Opening Statements Expected in Noor's Trial." April 8: 5 Eyewitness News—"Jury Selected in Noor Trial, Opening Statements Set to Begin." April 2: 5 Eyewitness News—"Analysis of Juror Selection in Noor Trial." March 29: 5 Eyewitness News—"Noor Hearing: MPD Body Camera Policy Ruled Not Relevant in Case." Steve, an experienced trial lawyer, concentrates his work on high stakes civil litigation and products liability cases, government and internal investigations, and white-collar criminal matters. He also serves as co-chair of Maslon's Government & Internal Investigations Group. Steve has 23 years' experience as a trial lawyer, having spent his career as a prosecuting attorney before joining Maslon. A former federal prosecutor, he worked for 13 years in the U.S. Attorney's Office, serving as the Deputy Criminal Chief of the Special Prosecution Section (2014-2016) and as the St. Paul Branch Chief. Prior to joining the U.S. Attorney's Office, Steve worked at the Minnesota Attorney General's Office and Winona County Attorney's Office. Steve also has experience in military courts, having served as a JAG Corps Officer in the United States Army Reserve.